I’ve been thinking about redoing my house for a few months now, and when I say thinking I mean trolling design and home goods websites like it’s my job. My biggest issue right now is trying to decide which style I want to work with. I usually fall somewhere between ultra feminine with tinges of contemporary while balancing the ever delicate world of neutral colors with brighter accent colors. Yea that sounds even more confusing as I typed it.. maybe I should just call one of my interior designer friends. Anyways, as I was looking for some artwork today I stumbled upon Mist, an online art gallery that hosts different collections every month. 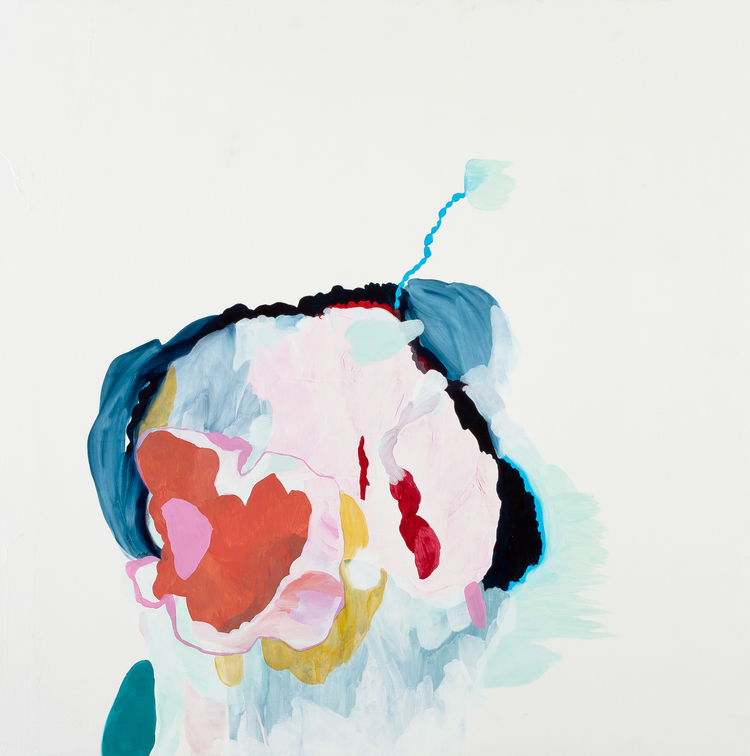 Emily Crabtree’s “Caught Up” immediately made me pay attention. I clicked through to her website and I was pretty impressed with the pieces that make up “Cell Series”. They are an array of bright colors, abstract imagery and cool details. It’s been a hectic day, well actually week so it was nice to see something that visually inspired me and made me stop and think for a moment. Check out her website to see her other works and where she’s currently showing pieces!